It is widely known that habitat fragmentation causes wildlife numbers to decrease all over the planet. Only a few small places, such as the Greater Yellowstone Ecosystem, show continuous numbers of native wildlife populations. One main reason for this is that habitat fragmentation has destroyed the ancient migratory pathways of elk, deer, bison and many more species. Connected habitats are essential to have healthy wildlife populations. However, roads, urban sprawl, industrialisation and tourism are cutting up habitats everywhere. The tourism and recreation industry is still not fully aware of their important role in the conservation of wildlife habitats. Promoting the health benefits of outdoor recreation and the chance to encounter wildlife brings more and more people to the outdoors. But it does not encourage or highlight the need for conserving these areas or the inhabiting wildlife. 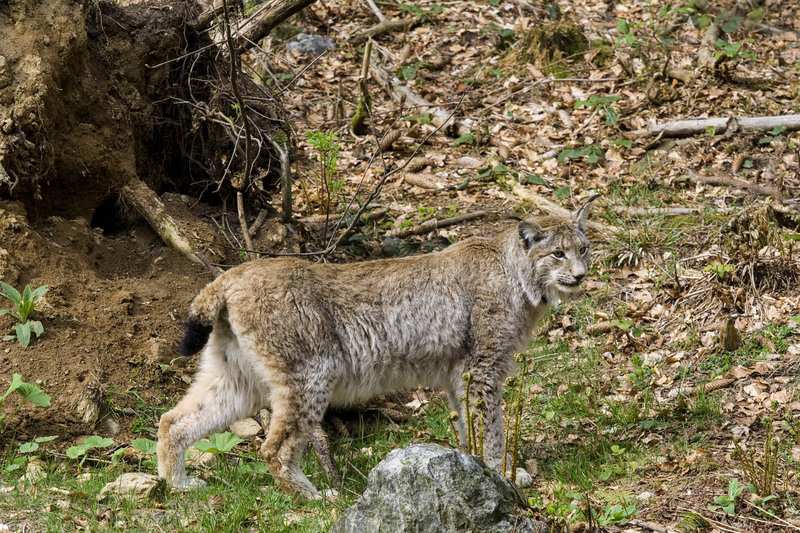 Campaigns like the Austrian “RespekTIERE deine Grenzen” (respect your limits), information panels and brochures offer information on wildlife living in particular areas with tourism infrastructure. Unfortunately, just sharing this information does not necessarily lead to protecting wildlife and their habitats. Nevertheless, raising awareness for the presence of wildlife is an essential step to minimise conflicts between humans and wildlife. Unfortunately, it is very much focused on the human side. For example, people do not want a bear to eat their food when camping. On the other hand, they are more than happy to get a close up picture of them. Humans and their recreation activities always influence wildlife, even if this effect is not seen. Trails and touristic structures negatively impact wildlife habitats. No matter if it is noise, pollution, habituation due to unproperly stored or thrown away food, erosion, or simply their and their pets presense. Being aware that there are many places where we can play but not so many places anymore where wildlife can live should be self-evident. But it needs the acceptance of people that we have to do something, and most importantly the willingness to do less, to really protect wildlife and their habitats. There is continuous pressure in nature to create new trails and make areas more accessible. The management agencies of protected areas or public lands are the essential interface in the guidance of recreating visitors. Deciding on not opening up, or even closing trails, as well as concentrating visitors in particular areas enables wildlife to move and live freely and undisturbed. Additional rules or closings trails, as well as limiting visitor numbers for sensitive periods such as breeding season, or sensitive areas, like riparian areas, protect habitats as well. In the end, however, it is on the visitors and outdoor enthusiasts to respect these rules and adapt their behaviour. Particularly to reflect on their effects on the inhabitants of the area they are enjoying. Sure, watching the sunrise from the peak of a mountain is a unique experience. But one has to be aware what it means for wildlife if several people with headlamps hike trough the forest. The same goes for off-trail hiking. It opens up new, unexplored areas but is satisfying our curiosity and sense for adventure really worth disturbing wildlife in their home? Awareness for wildlife and their habitat is not per se an act of conservation, but it is a necessary basis for reflected and sustainable outdoor recreation.